Açedrex has a few non-fiction works available, but nothing like this. And that’s the whole idea. There are too many diet books out there to count. This one is different. Rook’s Page proudly presents Skinny Zen by Jan Holmes Frost. It features a positive, meditative approach to weight loss with a simple scoring system for meal plans and little gems of useful advice, all with a unique sense of humor. You won’t dread turning the pages of this encouraging essay. Think happy, think skinny, think Skinny Zen. Slow down, focus, take a deep, mindful breath, and learn strategies for your body’s particular needs. Everyday diet books set a negative vibe when it comes to weight loss management. They even set negative goals for you! 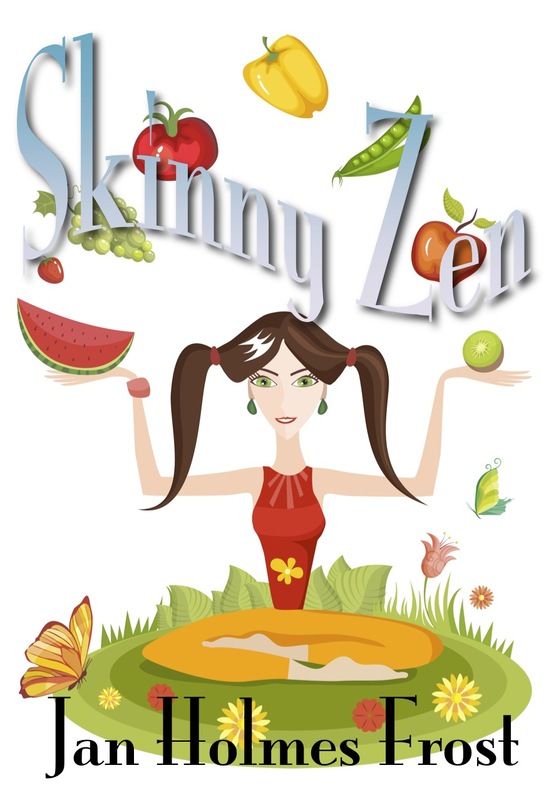 Skinny Zen shows you how to accentuate the positive and become in tune with your true weight loss regime. Frost’s wry wit will have you forgetting the D-word (diet) as you check out the numerous website links and learn new habits. Namaste. Skinny Zen releases on May 10. Get a new attitude just in time for those summer clothes. It’s available for Kindle preorder now. Get it on release day automatically! Other formats and a softcover edition coming soon! This entry was posted in Non-fiction, Rook's Page and tagged books, calorie counting, dieting, humor, new book, new release, Non-fiction, nutrition, rook's page, weight loss. Bookmark the permalink.